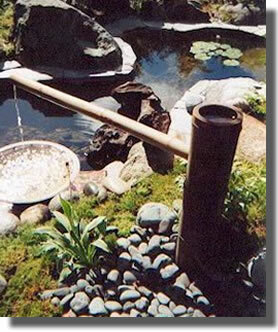 Information of landscaping and maintenance flow, budget, and schedule. Please inquire by phone or e-mail. Tell us your prefered date of on-site assessment. On-site assessnebt for further arrangement. We discuss on the design, budget, and any exsisting problems during the arrangement. After the arrangement, the work schedule is set upon your request. After all the steps, actual landscaping work starts. 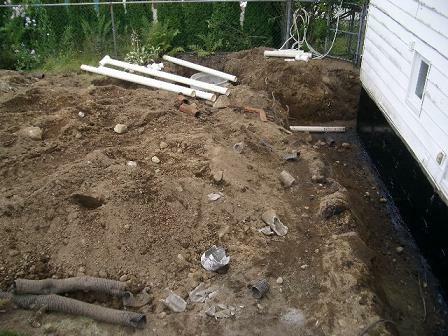 We conduct the soil preparation (excavation and etc.) for landscaping work. 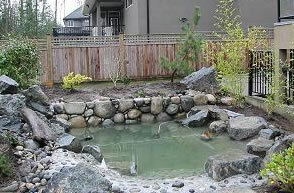 We construct a pond, using concrete-base or liner-base. We select the type of stonework based on the house type and soil condition. We build the walkways with concrete or stones, or any prefered material. We selecet the best plants for seasons and location, also with your preference. We plant the hedges in order to harmonize the private space and the streets. We select various fence material upon your request and suggest the best material for security purpose. We conduct soil improvement on unhealty soil condition. 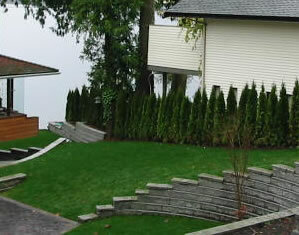 We turf a brand new lawn or conduct seeding depending on the conditions. We install verious type of retaining wall to the garden with inclination and vertical interval, considering aspect and safety. Power wash of housewall, walkway, and driveway is available. Rain gutter clean up is available throughout a year. Other works are available upon your request (ex. tiles).